As a longtime comic book reader, I have my personal list of favorite characters. Everybody has one, right? Those characters that you love to read about and see pop up in new comics. For a lot of people, their favorite characters are big name superheroes, like Spider-Man or Batman. For me, I tend to prefer the smaller supporting characters. That’s just what happens when you read a lot of comics and are exposed to a lot of characters. As such, when I started this blog back in 2011, one of my earliest Lists of Six was my top six favorite comic book characters of all-time. With the exception of one name, that list has remained pretty firm over the past eight years. In the past two years and a couple months, nearly every character on that list has been killed. Several characters in my Honorable Mentions addendum have been killed. And a couple other characters I love have either been killed or nearly killed within this time frame. I don’t…I don’t know what’s going on. I don’t presume to think this is some sort of targeted attack on yours truly. I think this is just the unfortunate cost of loving minor comic book characters, the sorts of characters that can be chewed up and spit out as any given writer sees fit. But damn, this has been pretty hard on the soul. 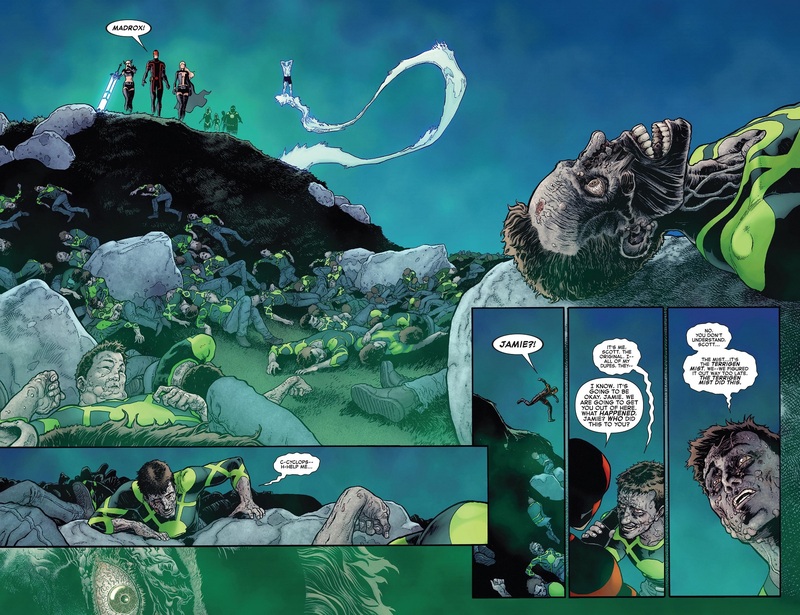 Multiple Man was killed in Death of X #1 in October 2016. He’s still dead. Multiple Man has returned to comics, replaced by one of his duplicates. And his character has been re-written as a feckless coward. So that’s some good salt in the wound. The Mimic was killed in Extermination #5 in December 2018. This one was really disappointing. He made a surprise appearance in Extermination after being out of comics for a few years. I knew from the moment he appeared that he probably wouldn’t survive the series, and I had to wait several months for those fears to be confirmed. 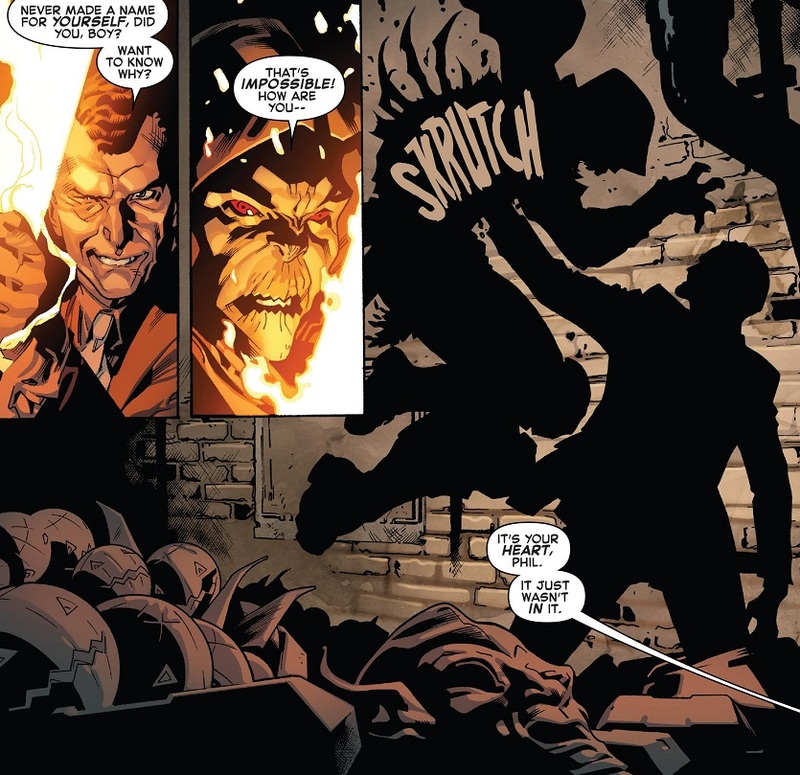 Phil Urich was killed in Amazing Spider-Man #797 in March 2018. Phil was my favorite superhero as a kid, and the first comic I actively started collecting on my own, issue-by-issue. I endured years of him being transformed into an unrepentant villain before they finally put him out of his misery. Tim Drake was killed in Detective Comics #940 in September 2016. Thankfully, his death was a fake out. He survived and returned to service shortly thereafter. He’s even gone back to being just “Robin” instead of the far more ridiculous “Red Robin”. So there’s at least one happy ending in this list. That’s it for my list of favorites. I listed “Robin” on that list as more of the concept of the character. Damian Wayne, the current Robin, is still alive…but if I’m being honest, he hasn’t really been ‘Robin’ in a long time. The concept of ‘Batman and Robin’ as a team is pretty dead. So does that count? Not to mention that Damian was killed in early 2013. So for a short while there, Robin was dead. The Spot is also still alive, but he’s the one character I would probably take off my list of favorites. I’ve always been a big fan of the Spot, and will always be a big fan of the Spot, but there are characters I like better. Which is probably why he’s still alive. How about some of those Honorable Mentions at the bottom of the page? Mach X was killed in Thunderbolts #12 in April 2017. Technically speaking, we didn’t see a body, and that’s usually a good sign they might come back. But we haven’t seen Abner Jenkins since then, so he’s as good as dead. The Scorpion was maybe killed in Venom Annual #1 in October 2018. I’m not too sure about this one. 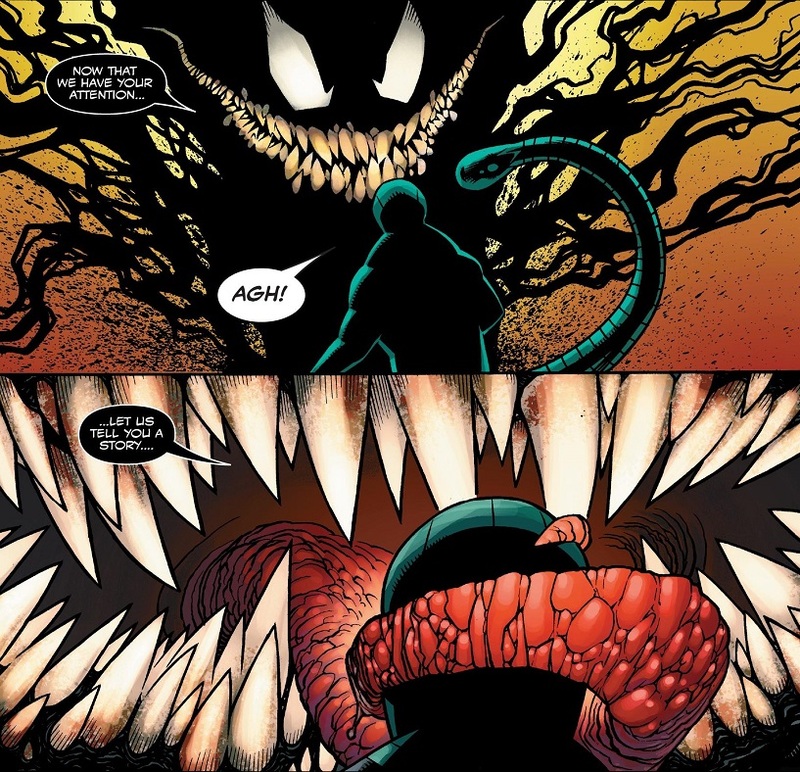 It does appear that Venom kills the Scorpion, but then Scorpion has been showing up in the pages of Amazing Spider-Man recently. I may have to check and see if there’s an explanation. 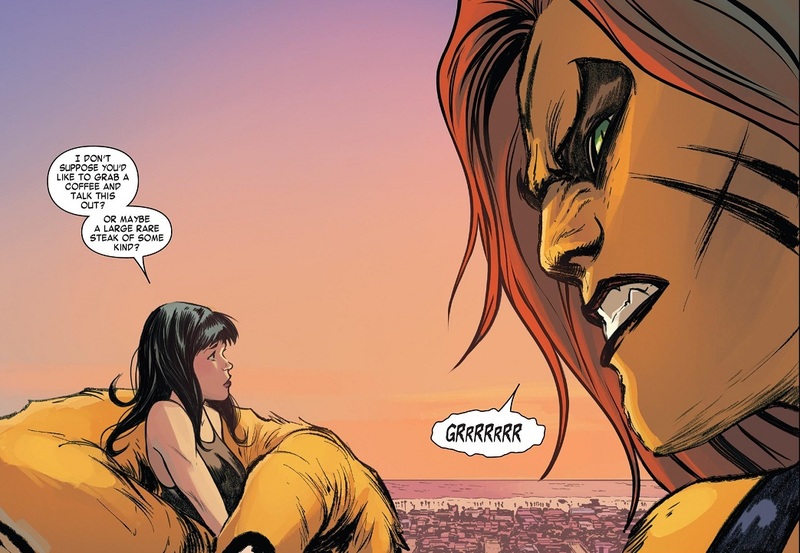 Strong Guy was killed in Uncanny X-Men #12 in February 2019. This is the most recent, and inspired this list. Strong Guy is Multiple Man’s best friend, and one of my favorite duos in comics. And now they’re both dead, and neither one particularly cares about the other these days. So just bleakness all around. Avalanche was killed in Uncanny Avengers #1 in October 2012. That happened a year after I started my blog and he’s still dead. 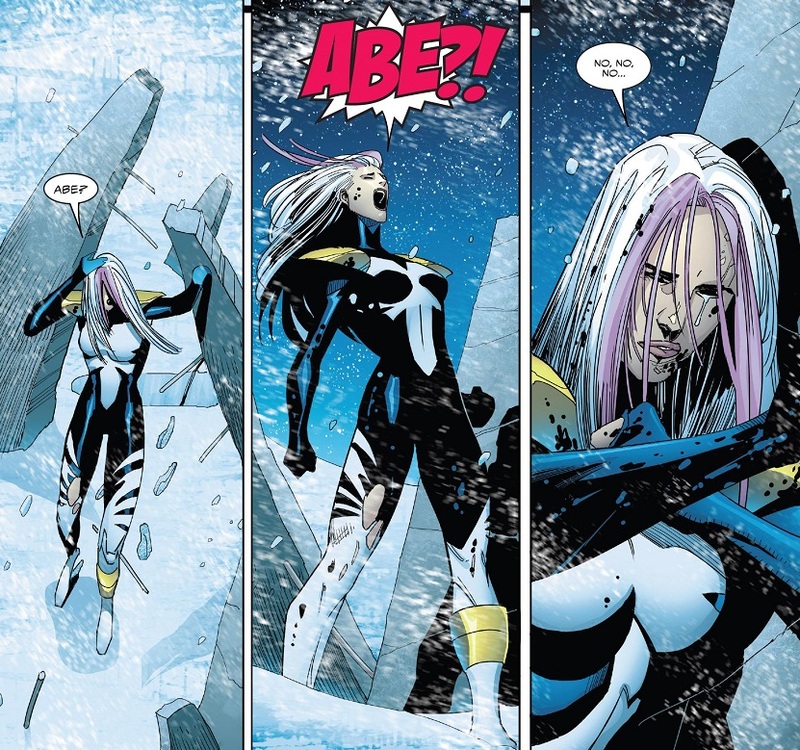 The recent X-Men Gold comic introduced a new Avalanche, but I didn’t read it, and I’m pretty sure the character didn’t stick around. The X-Men have since ignored the new Pyro also, and he joined the X-Men towards the end of that comic. So that’s not looking good. That’s the major list. 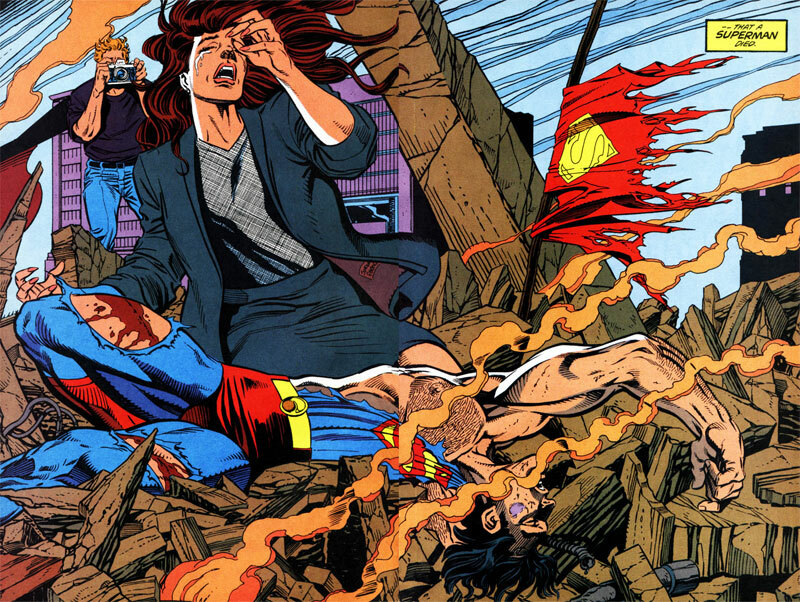 Eight of my favorite comic book characters have been killed since I started this blog, most of them within the past two years or so. And only one of them has been properly ‘resurrected’ in that time. It’s just a little soul-crushing. That’s not counting the time Stingray was nearly killed in a recent Avengers comic. 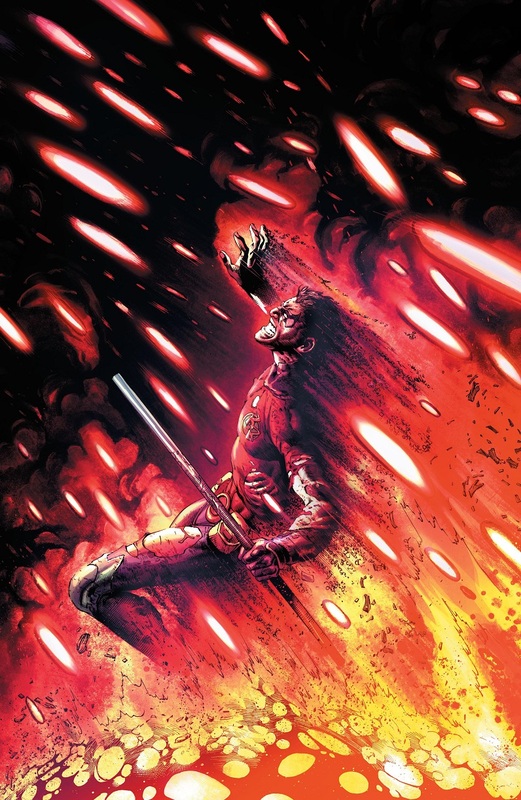 Or the speculation that Simon Baz, my favorite Green Lantern, is probably going to be killed in Heroes in Crisis. I don’t have any larger point to make. And I’m largely just whining. But c’mon. There’s only so much my soul can take. Is it really so wrong to have favorite comic book characters? Is there somebody specifically targeting me? All I really know is that Beta Ray Bill had better be very careful now that he’s a member of the Guardians of the Galaxy. There’s almost no way he’s going to survive that comic. I’ve said this several times on this blog: Multiple Man is my all-time favorite comic book character. And I should be thrilled that he’s back in action. 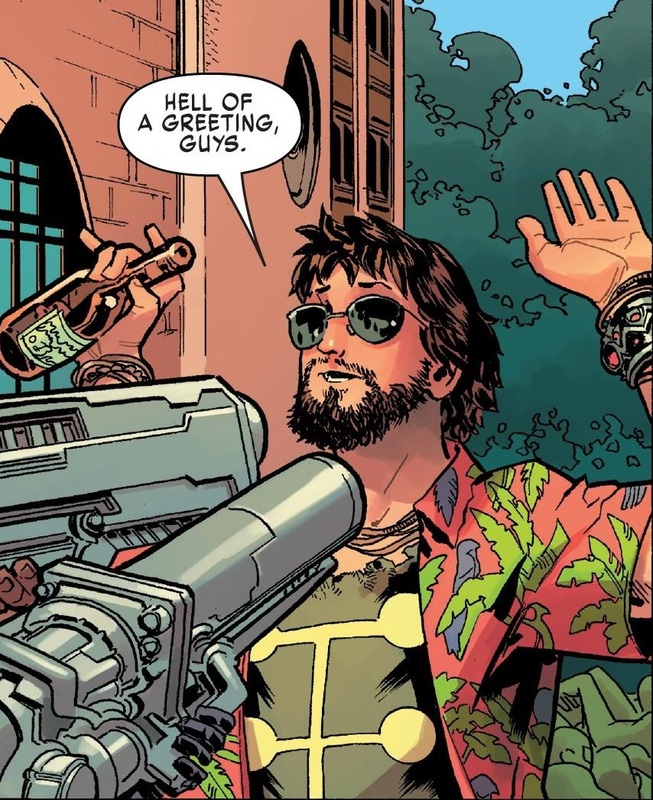 Not only did he have a recent Multiple Man comic all to himself, but he’s in the current Uncanny X-Men storyline. But here’s the thing: this isn’t really Multiple Man. 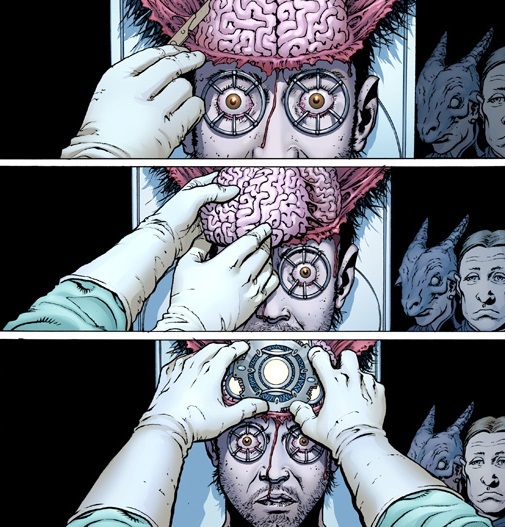 The current creators working on the X-Men found a workaround to put a simulacrum in place. 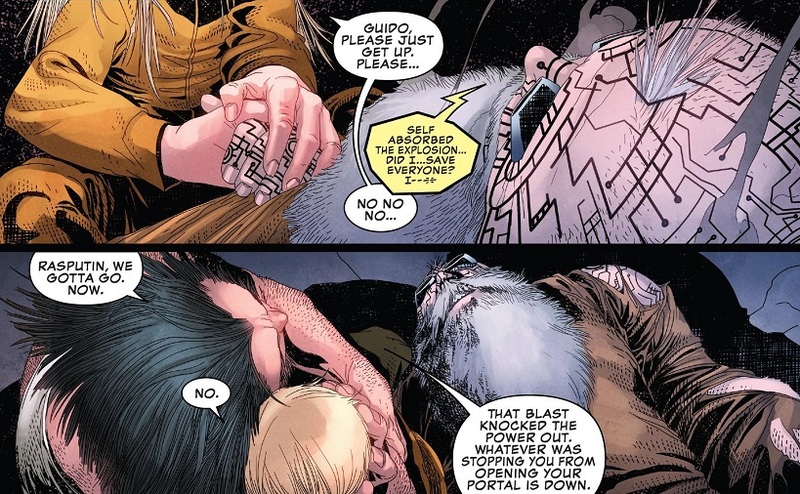 And based on this week’s new issue of Uncanny X-Men, they can’t even get that right. Quick recap: Jamie Madrox died several years ago during the M-Pox storyline, killed by the Inhuman Terrigen Mists. 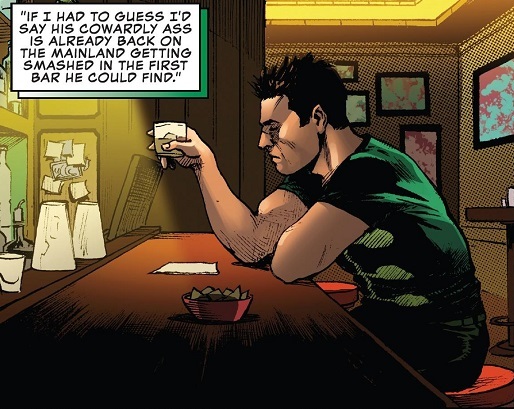 In the recent Multiple Man comic, it was revealed that one of his duplicates had gone into hiding years ago, working on a serum to separate duplicates from Madrox’s umbrella. Then through a series of time traveling hijinks, all of the various Multiple Man duplicates died…except for one. And he took the serum, which somehow granted him the crown of “Jamie Prime”. For some reason, only Jamie Prime can make duplicates now. Those duplicates can no longer produce their own duplicates. C’mon Nate, surely you’re aware of my brand new status quo change! 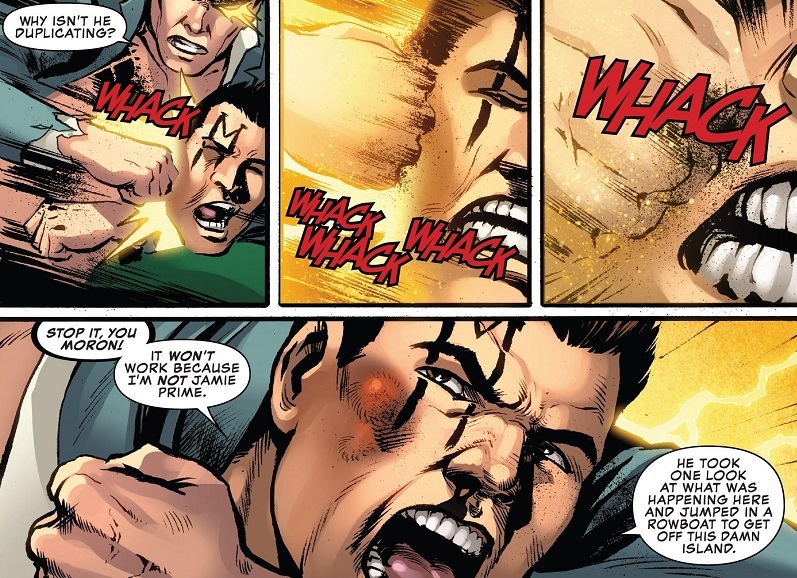 But yeah, his powers are different now, reinforcing the fact that this isn’t really Multiple Man back from the dead. It’s a weird, mutated duplicate simply living as Jamie Madrox. To make matters even worse, the current creators don’t seem to understand the character at all. They seem really into the idea that Jamie Madrox is an incompetent coward. Like, it’s mentioned twice in the new Uncanny X-Men #9. Where is this coming from? 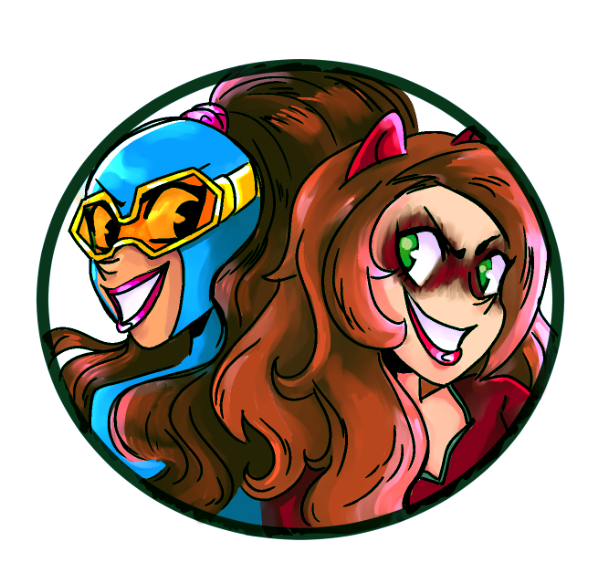 And from Kitty and Storm of all people? Did nobody read the 100+ issue X-Factor series? Jamie Madrox was a team leader, and was a prominent X-Men supporting character for years. He’s never been a coward and he’s never been incompetent. Those aren’t his character traits. It doesn’t matter in the long run. This is just one guy whining on his blog, and that’s really all I’m doing, whining. I get that. But it’s my blog, it’s my favorite comic book character, and I felt like whining about it. So take all of this with a grain of salt. Comic books move ever onward. Someday the real Multiple Man will come back from the dead. 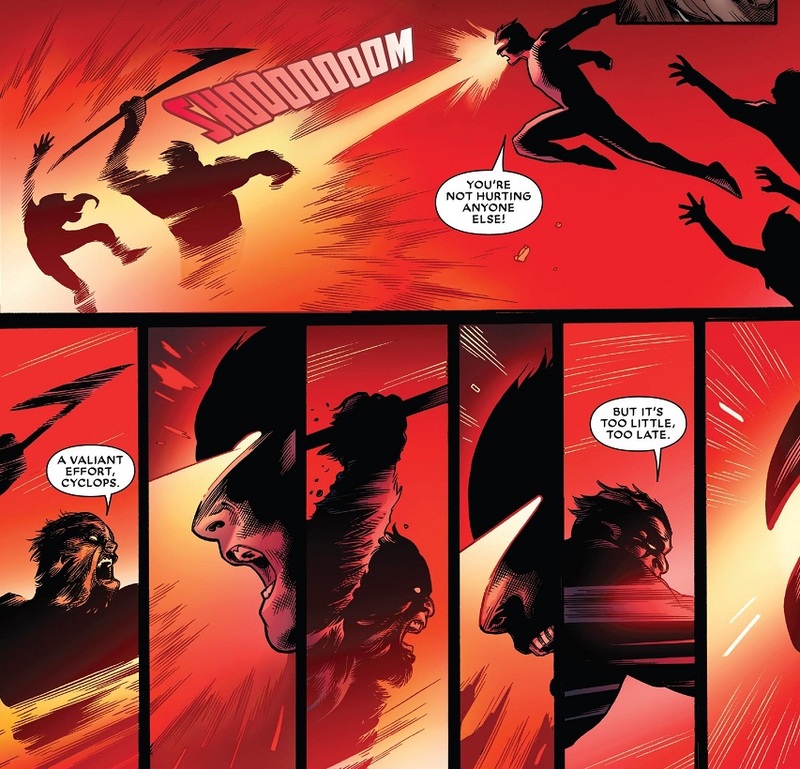 Cyclops died in the exact same way in the exact same story, and he’s coming back. I’m sure Multiple Man will be back too, eventually. I’m just gonna be really dorky about it until then.